Sicily is the largest island in the Mediterranean and lies at its geographic center, and thus "has been at the heart of the movement of peoples, goods, and ideas between Europe, North Africa, and the Near East from prehistory until today (UNESCO)." 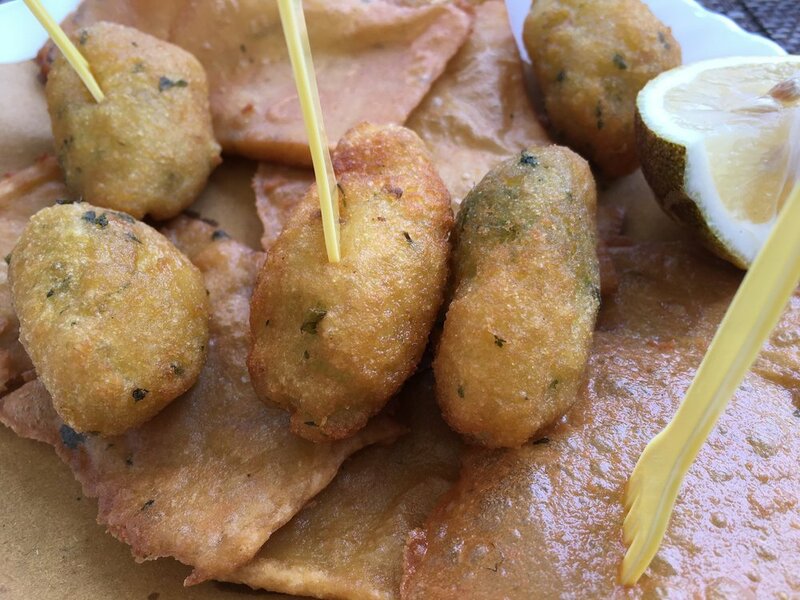 Therefore, you may not be surprised to hear that not only is Sicily home to a staggering 7 UNESCO World Heritage Sites, but its capital city of Palermo has been nominated as the European Capital of Street Food! 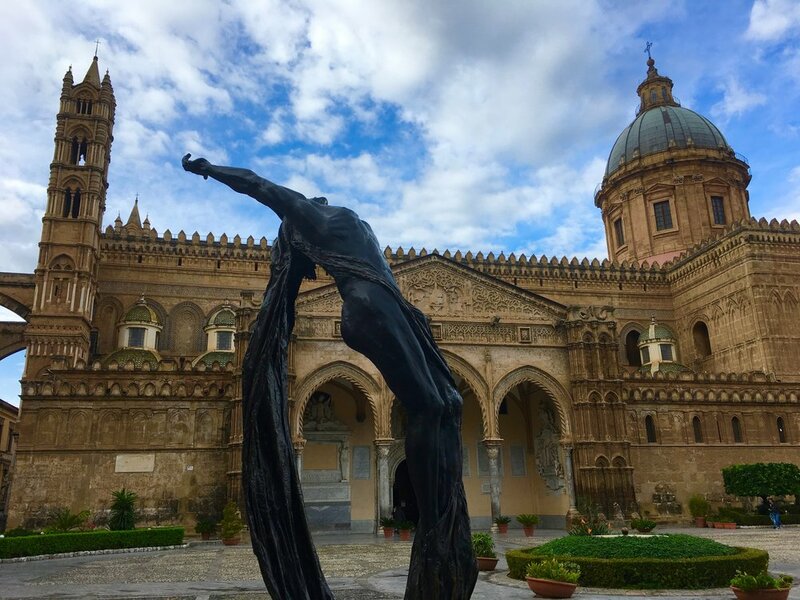 The città vecchia (old historical center) in Palermo is the largest in Europe; that in Syracuse (named Ortigia) is a dense and magnificent reminder of Sicily's history as a key defensive post in the Mediterranean for the last 3,000 years. The Greek ruins in the town of Agrigento are considered to be one of the most well preserved that stand today. And while it is pleasing to walk through and look at these powerful testaments of time, what we find even more enjoyable are the lessons of history that we are able to absorb in a more dynamic environment: that of food. Known as the granary of the Roman Empire, Sicily is a particularly fertile land due in part to the nutrient-rich soil from Mt. 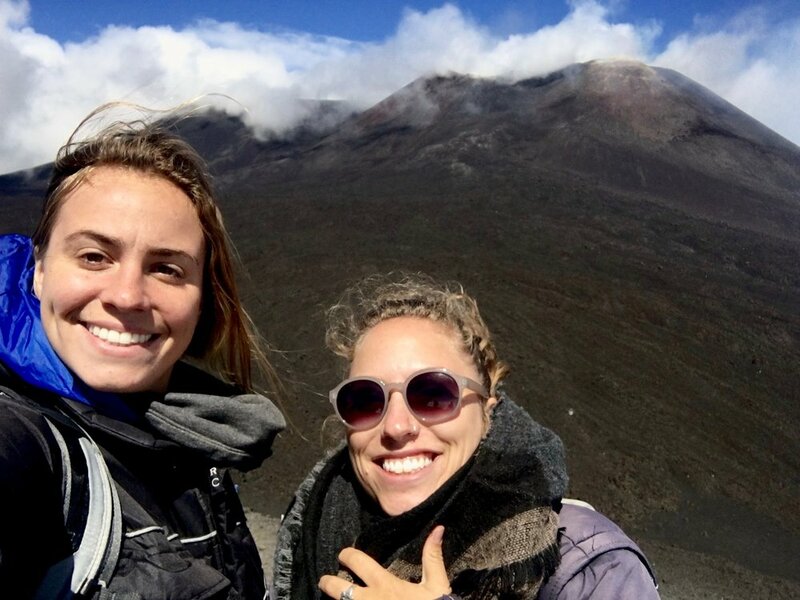 Etna, one of the world’s most active volcanoes, and its warm climate. From the ancient Greeks who preceded the Romans through today, what recipes throughout time have in common is that there is always a person in the present who is an expert on those recipes, sharing with you where the ingredients come from and since when, and if you're lucky: why and how. For example, do you know what a granita is? It is an iced treat that was originally made by putting buckets of fresh juice in the snow on Mt. Etna and churning the contents until it formed into tiny iced granules. Imagine how much more refreshing that delectable treat is when you're absorbing both it's history and a view of the mountain that it originated from! It is our wish to share with you the why and how of food in Sicily, so that you can take home with you memories of not just ancient ruins, but also the stories of time that you can share with those you care about who couldn't make it on the trip; continue the lessons of history by sharing them with the food on your plate. Just a few of the piatti tipici (typical foods) that hail from this fruitful land and that we love include: Pasta alla Norma, Cannoli, Granita (with brioche! ), Arancini, panelle, seemingly endless seafood, Modican chocolate, and a robust list of wine that you'll have to taste to believe.